SPEAKER: Steamboat Adduction. 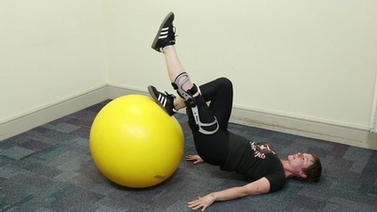 With the around the ankle, pull leg as close to body as possible without losing balance. 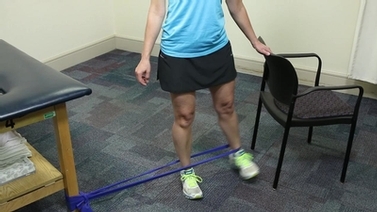 Part of a series of lower extremity strengthening exercises demonstrated by Cornell Physical Therapy.